As I struggle to regain a rhythm, passion and purpose to writing for self, I have started to revisit words that have inspired me in the past. Words that soothed, sparked, warmed and fired up my soul. Some of my all-time favorites come in the forms of poems and manifestos. 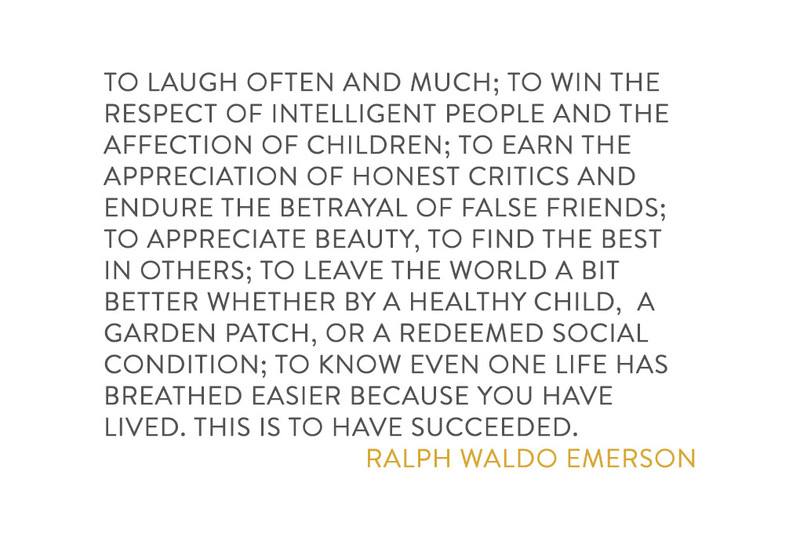 Right at the top of that list is Ralph Waldo Emerson’s poem Success. A grounding of sorts, I’ve always enjoyed its directness and simplicity – and call to live a life that matters in a time when there are multiple ways external forces are pushing a vision of success upon us.